To access the Reporting function, click 'Analysis'. A number of pre-set reports have already been set up for your use and can be found within the Saved Reports section in the menu toolbar. Some of the saved reports display in the toolbar while others can be found by selecting "More". This utility allows you to manage saved reports. 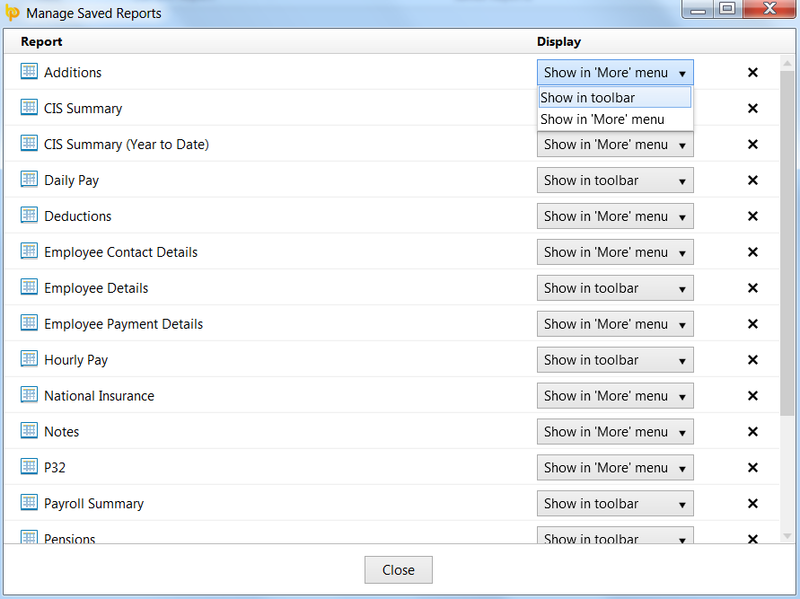 Here you can indicate whether a report is to show in the menu toolbar or within the 'More' menu, and you can also delete reports.